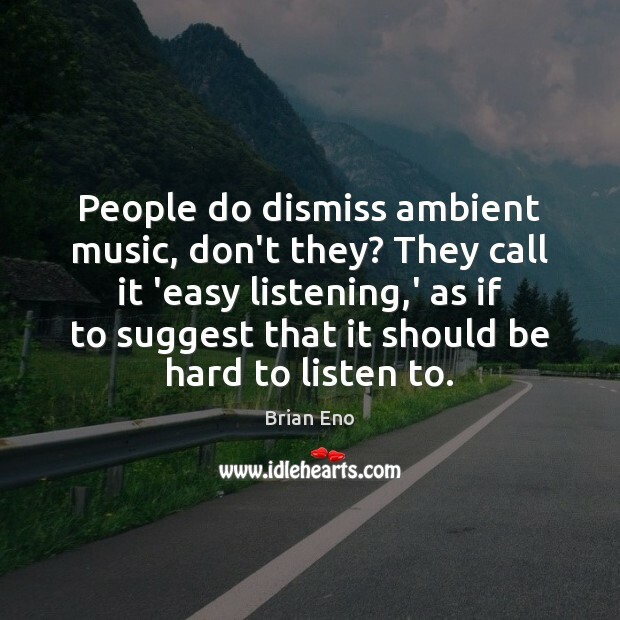 Quotations about Ambient. Quotes to stimulate mind and drive action! Use the words and quote images to feed your brain inspiring things daily! Obviously, it's had a huge effect on repetitive music or dance music or house music. 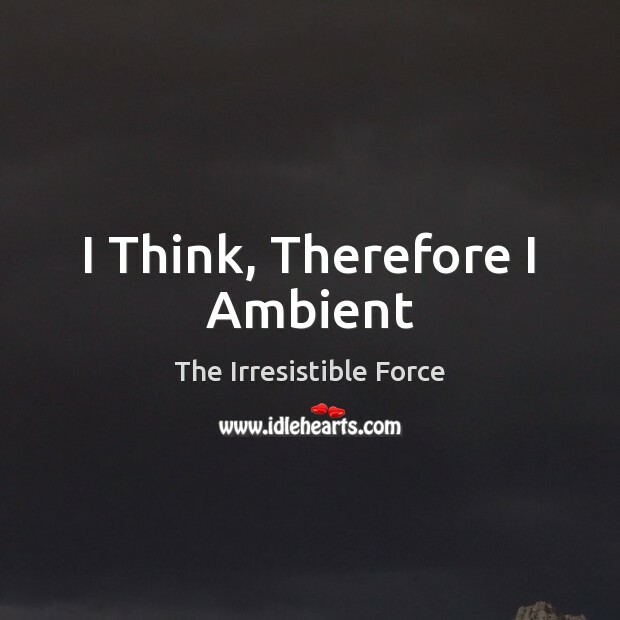 Ambient in the last ten years has infiltrated into all those repetitive musics. I don't know what part it plays in pop necessarily but I'm sure there's some connection. 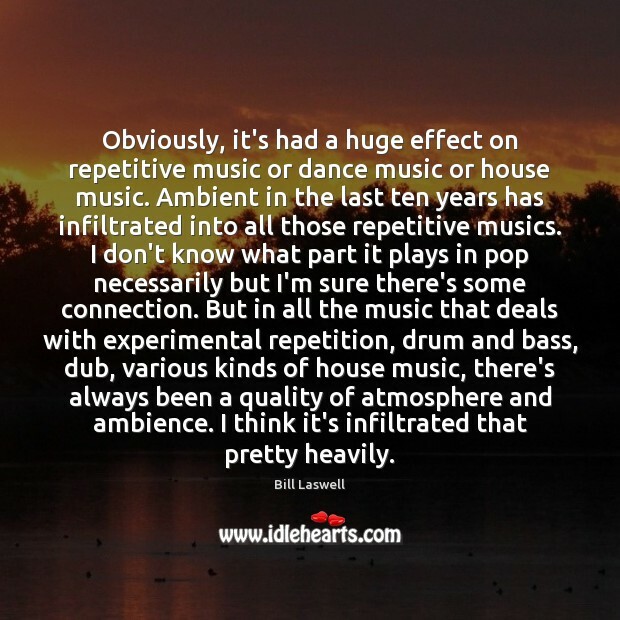 But in all the music that deals with experimental repetition, drum and bass, dub, various kinds of house music, there's always been a quality of atmosphere and ambience. I think it's infiltrated that pretty heavily. 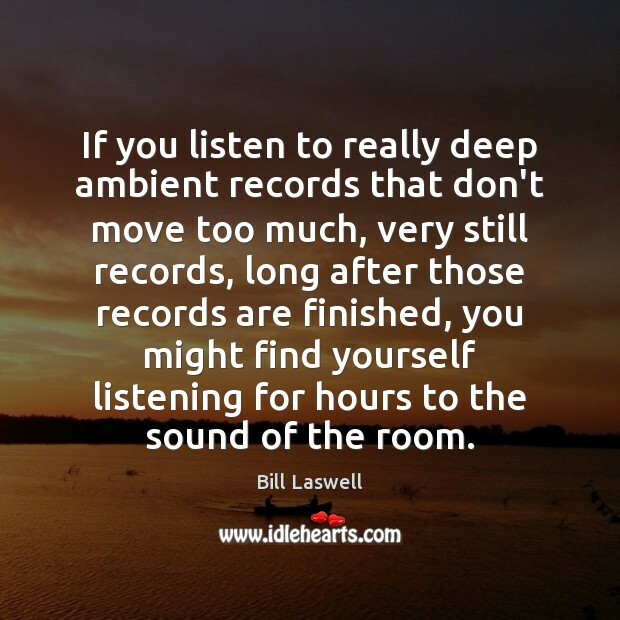 If you listen to really deep ambient records that don't move too much, very still records, long after those records are finished, you might find yourself listening for hours to the sound of the room. 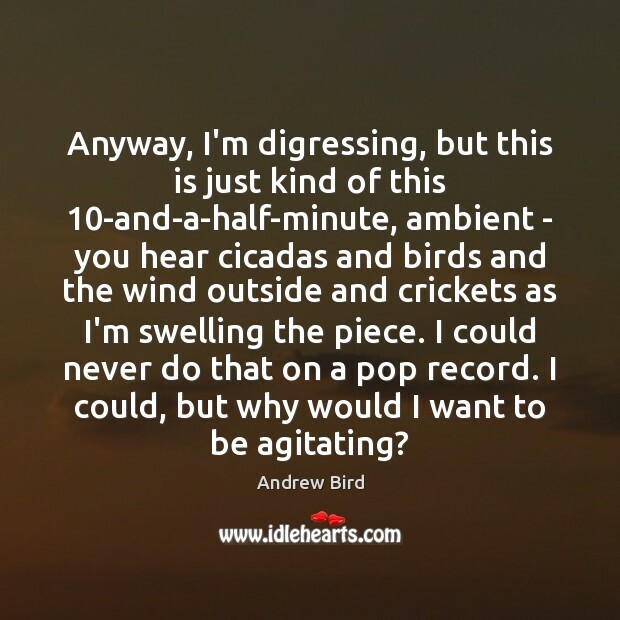 Anyway, I'm digressing, but this is just kind of this 10-and-a-half-minute, ambient - you hear cicadas and birds and the wind outside and crickets as I'm swelling the piece. I could never do that on a pop record. I could, but why would I want to be agitating? 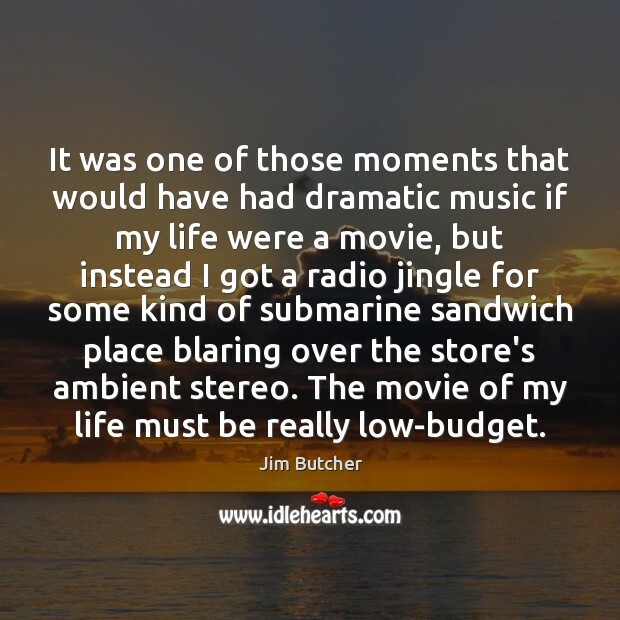 It was one of those moments that would have had dramatic music if my life were a movie, but instead I got a radio jingle for some kind of submarine sandwich place blaring over the store's ambient stereo. The movie of my life must be really low-budget. 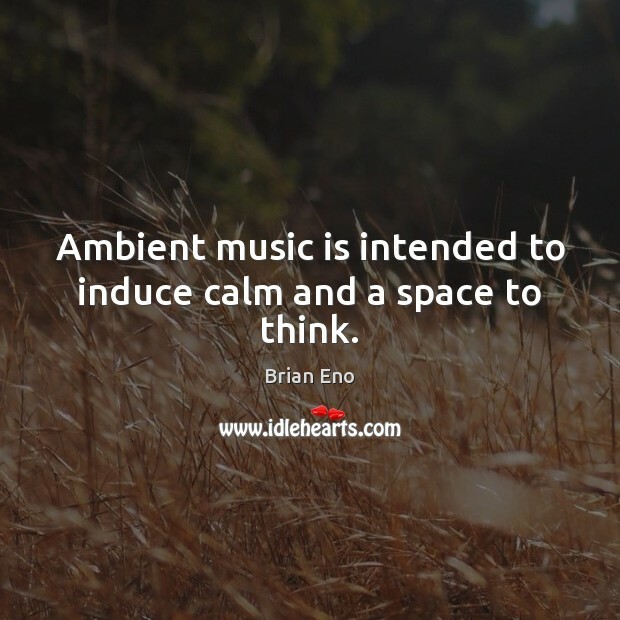 Ambient means the natural center or atmosphere of a space. All music has that in it- a space or center. 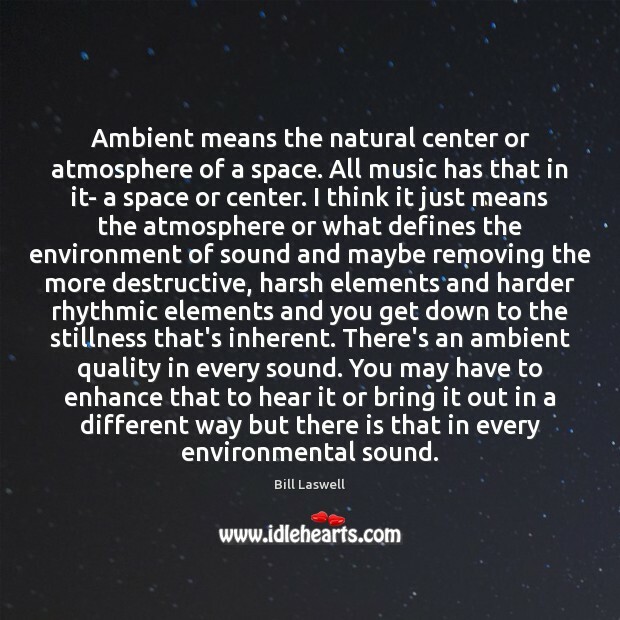 I think it just means the atmosphere or what defines the environment of sound and maybe removing the more destructive, harsh elements and harder rhythmic elements and you get down to the stillness that's inherent. 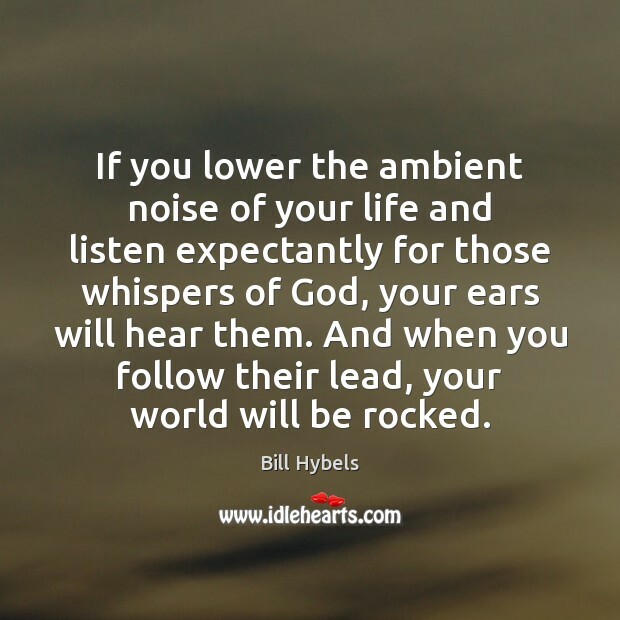 There's an ambient quality in every sound. 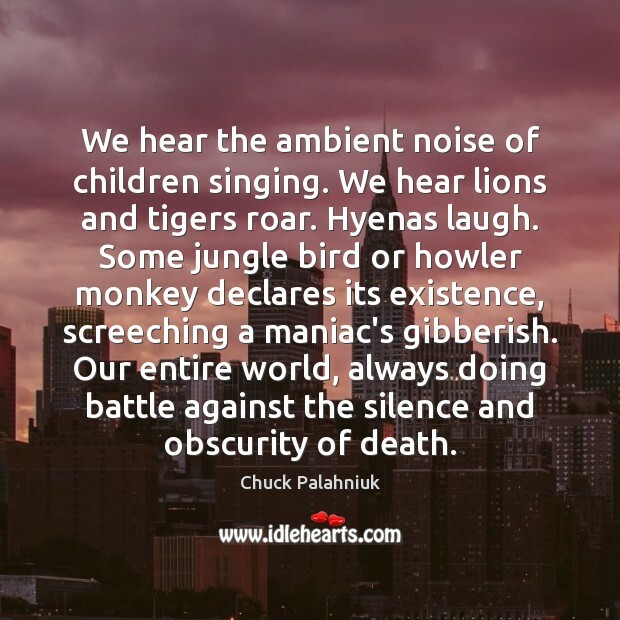 You may have to enhance that to hear it or bring it out in a different way but there is that in every environmental sound. Lithium tweaks many mood-altering chemicals in the brain, and its effects are complicated. 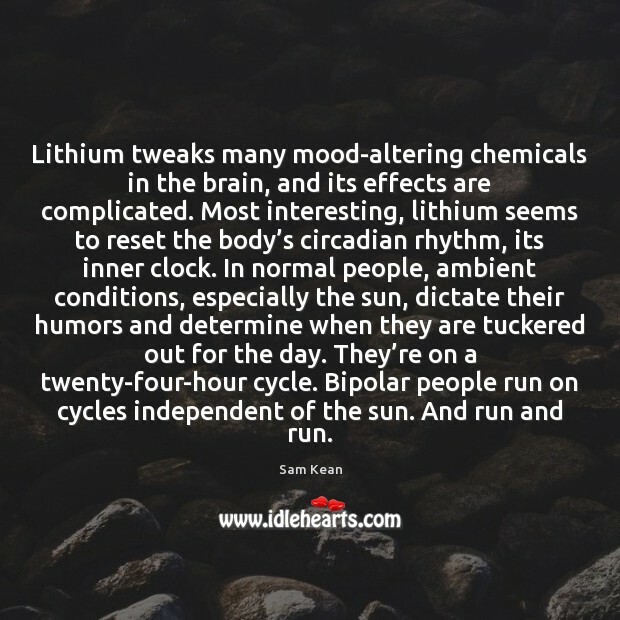 Most interesting, lithium seems to reset the body’s circadian rhythm, its inner clock. In normal people, ambient conditions, especially the sun, dictate their humors and determine when they are tuckered out for the day. They’re on a twenty-four-hour cycle. Bipolar people run on cycles independent of the sun. And run and run. My life is really precious. 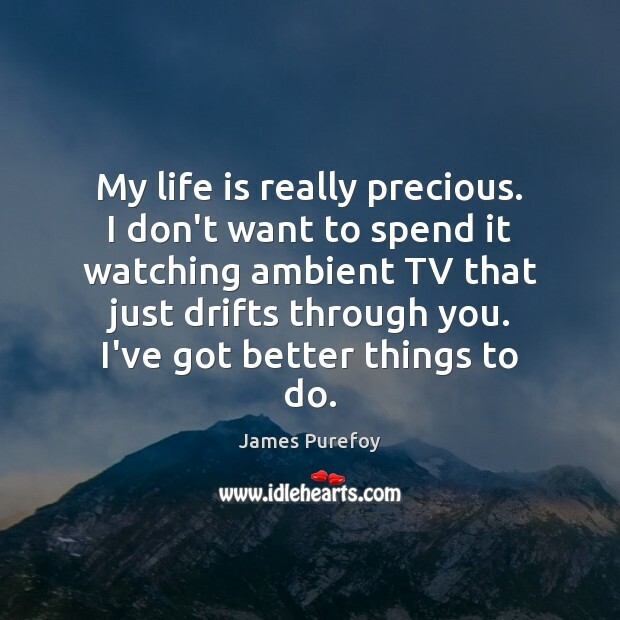 I don't want to spend it watching ambient TV that just drifts through you. I've got better things to do. 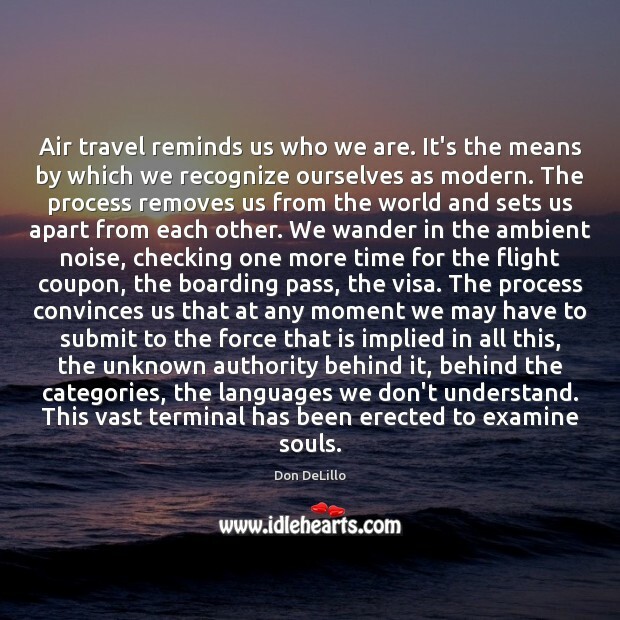 Air travel reminds us who we are. It's the means by which we recognize ourselves as modern. The process removes us from the world and sets us apart from each other. We wander in the ambient noise, checking one more time for the flight coupon, the boarding pass, the visa. The process convinces us that at any moment we may have to submit to the force that is implied in all this, the unknown authority behind it, behind the categories, the languages we don't understand. This vast terminal has been erected to examine souls. 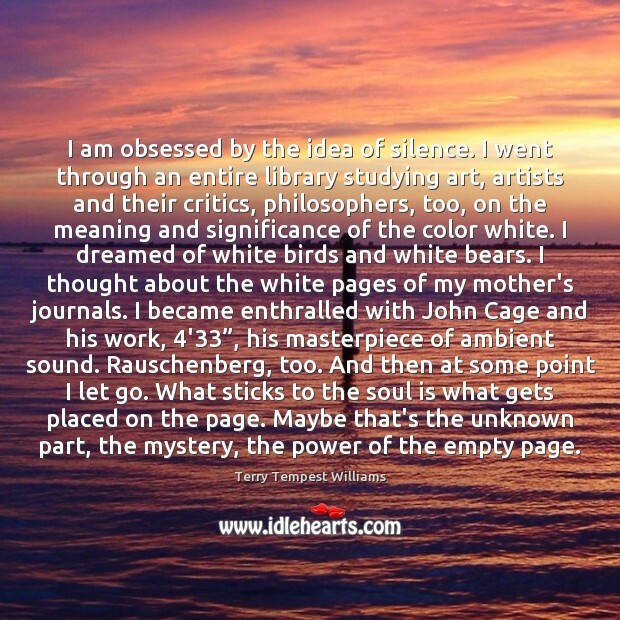 I am obsessed by the idea of silence. I went through an entire library studying art, artists and their critics, philosophers, too, on the meaning and significance of the color white. I dreamed of white birds and white bears. 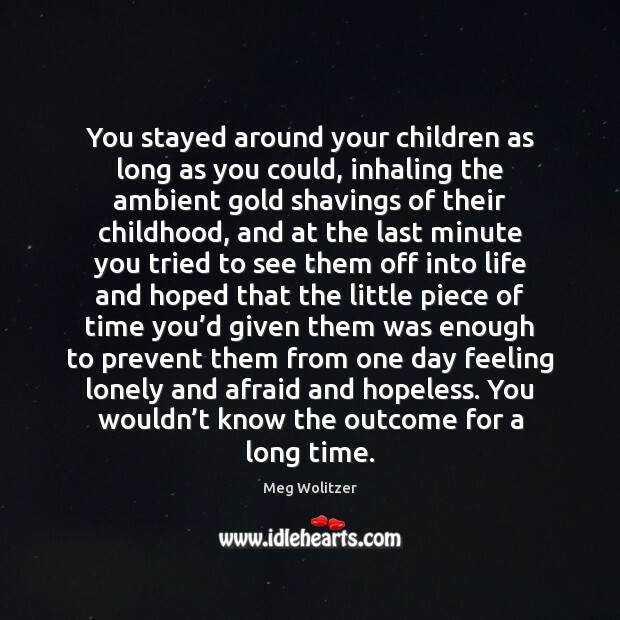 I thought about the white pages of my mother's journals. I became enthralled with John Cage and his work, 4'33”, his masterpiece of ambient sound. Rauschenberg, too. And then at some point I let go. What sticks to the soul is what gets placed on the page. Maybe that's the unknown part, the mystery, the power of the empty page. 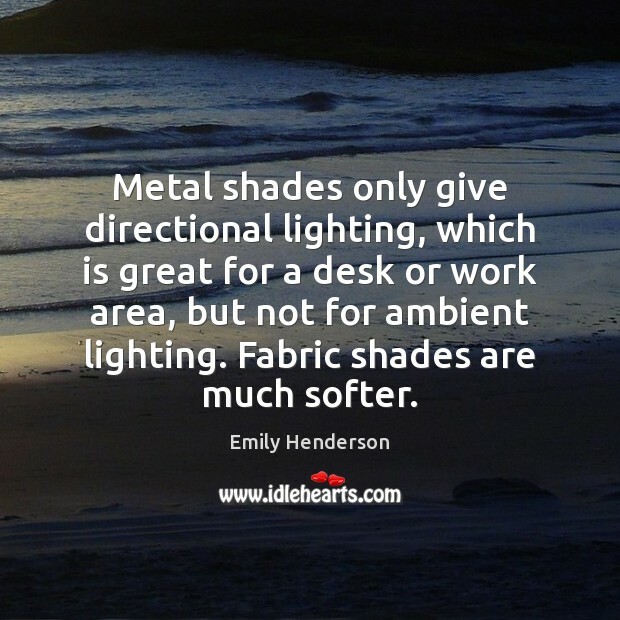 Metal shades only give directional lighting, which is great for a desk or work area, but not for ambient lighting. Fabric shades are much softer. 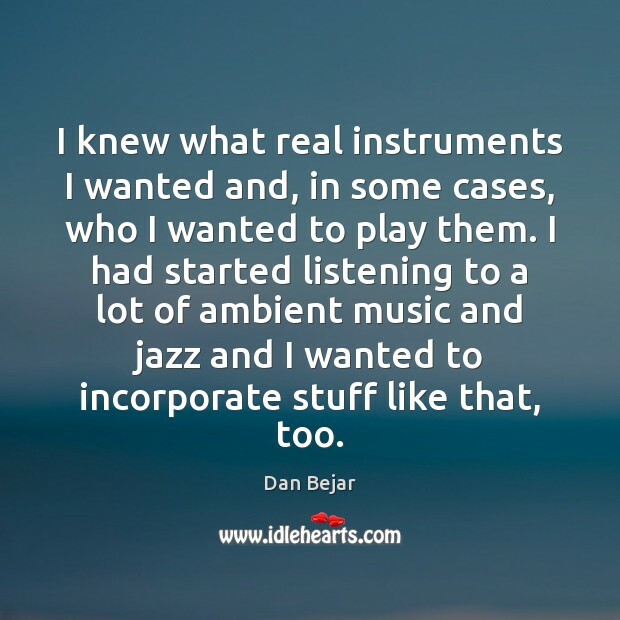 I knew what real instruments I wanted and, in some cases, who I wanted to play them. I had started listening to a lot of ambient music and jazz and I wanted to incorporate stuff like that, too.